Osteoporosis is a condition whereby the bones in your body become extremely porous, less dense and much more brittle. Your bones become extremely weak and are more prone to breakage. It is a fairly common condition amongst the elderly, especially amongst women. It is dangerous condition if left unmanaged as osteoporosis symptoms are barely noticeable. Some people would only realise that they have it when they get themselves injured. You or your loved ones may be at risk but do not worry. Read on to find out more about this condition and how you can manage it. Why Do our Bones get Weaker? 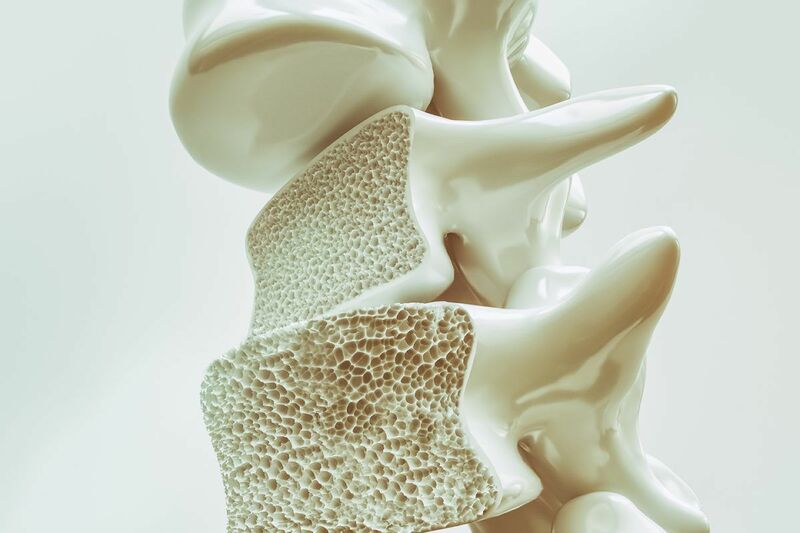 Our bones are constantly in action, even at a cellular level. New bone tissues are formed while older tissues are reabsorbed into the bloodstream. When there is more bone tissue formed and less tissue reabsorbed, the bones will become denser and stronger. 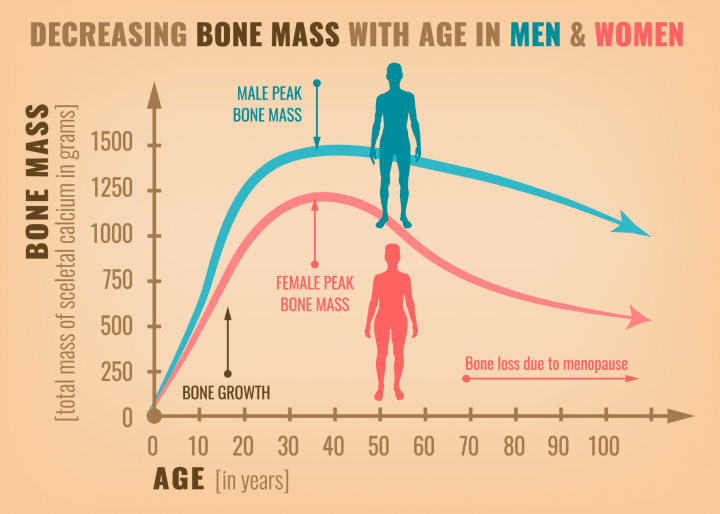 Bone strength is at its peak at around 25 to 30 years of age. However, as we get older, things start slowing down. When there are more bone tissues being reabsorbed and less new tissues formed, the bones will slowly lose its density. The absorption rate increases while the formation rate decrease as we grow older resulting in weaker, more porous bones. When this condition goes unmanaged, it will will lead to osteoporosis. Who are More Likely to get Osteoporosis? Menopausal women- With lower levels of estrogen, the body is not able to effectively create new bone mass. Those who smoking and drink excessively- Substance abuse decreases the amount of hormones produced in the body, which are key to maintaining bone density. As mentioned above, there are usually no obvious symptoms. You could feel some bone and back pain as your bones are losing strength to support your weight. Over time, you could become shorter and more hunchback due to vertebral compression. Vertebral compression occurs when doing simple exercises like twisting or stretching leads to small cracks on your spine. This causes severe pain and your back may bend forward into a slouching position. However the most serious sign is getting more fractures. Imagine you have a solid chocolate bar and an aerated chocolate bar (the kind with lots of bubbles inside). It harder to bite into the solid bar whereas you can easily bite the aerated bar with little effort. Similarly, porous bones are much easier to break. For someone with osteoporosis, small falls can cause serious injuries like spine, neck, and hip fractures. These fractures can be so serious that it can limit a person’s mobility or even be fatal. The signs and symptoms may sound scary but all these can be prevented with early detection. One way is through the bone density test. You can do this test at various clinics specialising in orthopaedics in Singapore. This test is a painless, easy, and quick way to examine the density of your bones via X-rays. There is little preparation as you do not need to fast nor take special medication prior to the test. You may need to change into a medical gown and must be free from metallic accessories. 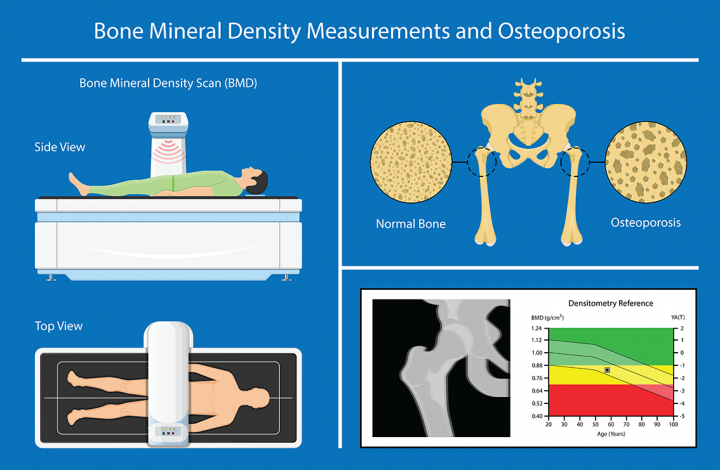 From the test, doctors will compare your bone density with the standard normal density to get your diagnosis. If you are diagnosed with osteoporosis or at risk, it’s time to make some lifestyle changes. Having good nutrition is essential to managing your osteoporosis. 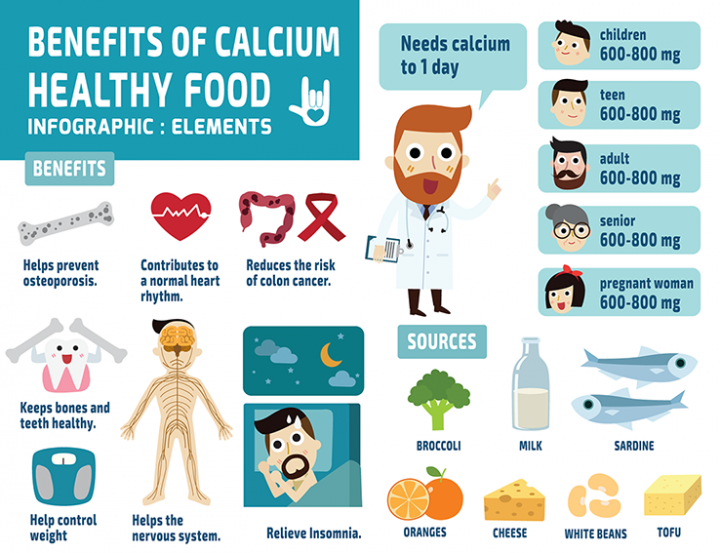 Calcium is an important nutrient for your bones to form the tissue. Ensure that you take enough calcium so that your body will not rob your bone tissue for the mineral. Non-fat milk, soy, and dark green leafy vegetables are excellent healthy food sources of calcium. You will need lots of Vitamin D for the absorption of calcium. You can easily get vitamin D by taking a stroll in the sunlight and eating oily fishes, fortified bread, egg yolks, dairy, and soy products. Also, you may need to cut back on food containing a lot of phosphorus as phosphorous binds with calcium and hinder its absorption. Such food includes red meat and offal. Consult a doctor to see what kind of diet would suit you. If you need, you can also ask them to prescribe you supplements. Like how you exercise to strengthen your muscles, exercise is as important in strengthening the bones as it promotes efficient bone formation. If you have been leading a sedentary lifestyle, you can start small and try brisk walking. Once you are used to it, you can move on to more rigorous weight-bearing exercises like running or skipping. If your bones are too brittle, consult your doctor first before exercising. Engage in low impact exercises and avoid exercises that could hurt your back and hips. 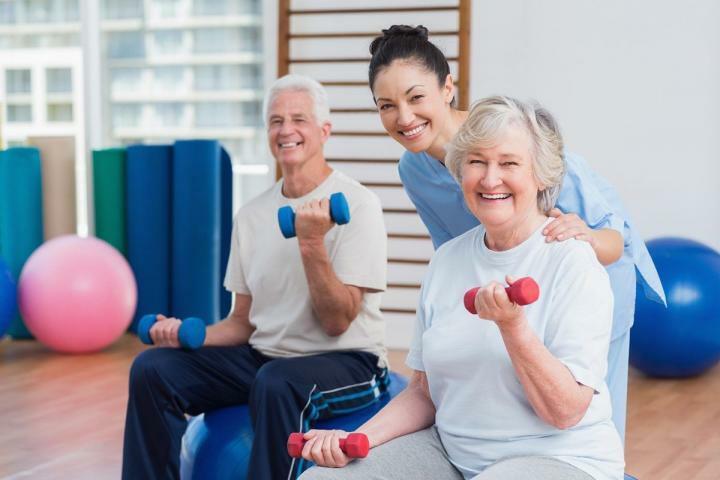 Osteoporosis is indeed a cause for concern, but with knowledge and good lifestyle changes, you will be able to manage your condition no problem. Bone screening and a Bone density test is the best way to tell if you have osteoposis and what stage it is. It is a simple, non-invasive test and most Orthopaedic surgeons will offer them. If you are looking for a personal recommendation, try HC Orthopaedic Surgery at Mount Elizabeth Orchard. They have Bone screening packages at affordable prices and the doctor is very friendly.